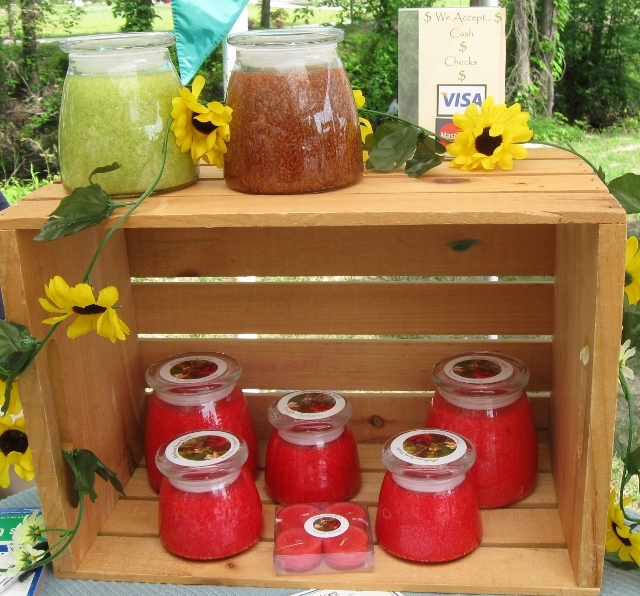 This past weekend the Craft Guild Shop had a Porch Party to celebrate 35 years in business. That might not sound like much to some but for a craft co-op that is a big milestone. The artists and crafters of the Guild have been through bad economic times , moved from one location to another more then once, lost members to cancer and other health issues and have had to deal with flood waters on more then one occasion. With each trial they have regrouped, worked hard and managed to get bigger and better. Also my friend Hans brought out a couple of wood lathes and people made pens. It was interesting to see what two blank pieces of wood turned into, literally...LOL. Here's one that I made... Hans is a good teacher cause I could have never done this on my own. Ardith Young http://ardyscreations.com did a stained glass class and her students did some cute sail boat sun catchers. I think everyone had a good time Saturday. 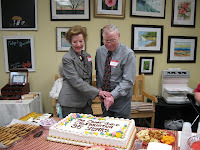 Sunday we had a reception and cake cutting to mark the 35th anniversary. 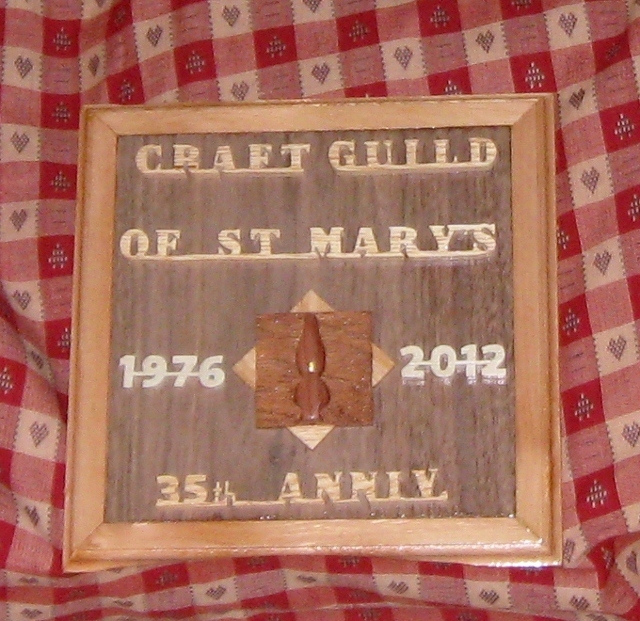 And some of the long time members and some that have contributed extra to the Guild received plaques that were handcrafted by Hans. 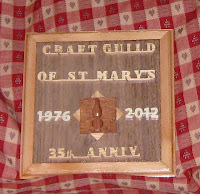 I received one for my work on the web site http://www.craftguildshop.com and Facebook page. 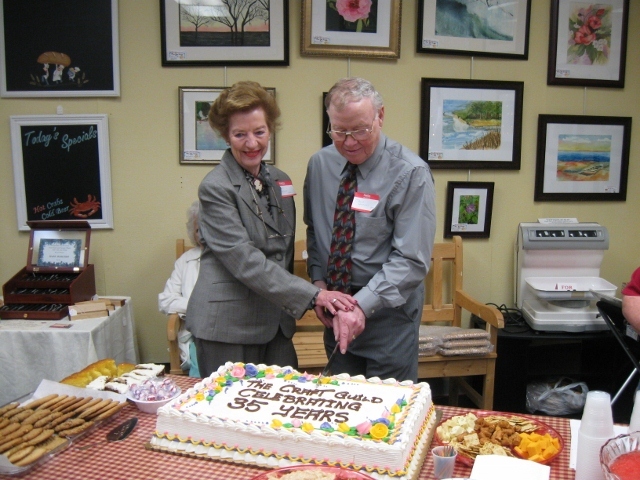 Chuck and Betty Harless who started all of this 35 years ago were on hand to cut the cake, it was nice to see them again after so many years. Now with all this said it's time to work hard and get ready for the St. Mary's Crab Festival coming up June 9th. I'm looking forward to some good fresh strawberries. 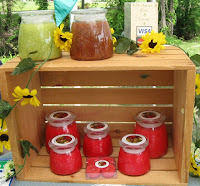 If you have some time on the weekends check out the craft shows and festivals in your area. You'll find some interesting things to do and meet some awesome people. Well it's back to the paint and brushes to get more things painted for these shows. Enjoy your day and Happy Painting.